Our unique frosting effect adds an element of sophistication to any package. 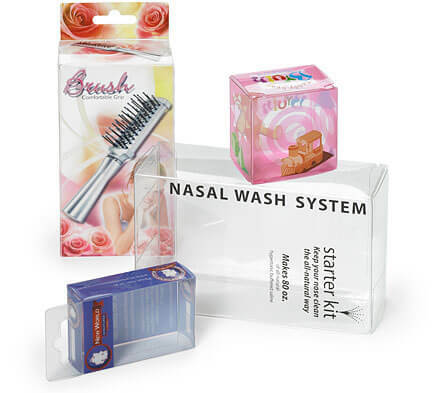 One of the primary benefits of using VisiPak clear boxes is that graphics can be applied directly to the box. Printed boxes create a classic look and reduce costs by eliminating the need for header cards or labels. Choose from one of our four printing methods or incorporate multiple processes into one package for added effect. With 4-color process, 2-spot color capabilities, and unique foil stamping and frosting effects, VisiPak can create a high-end look for that special package.